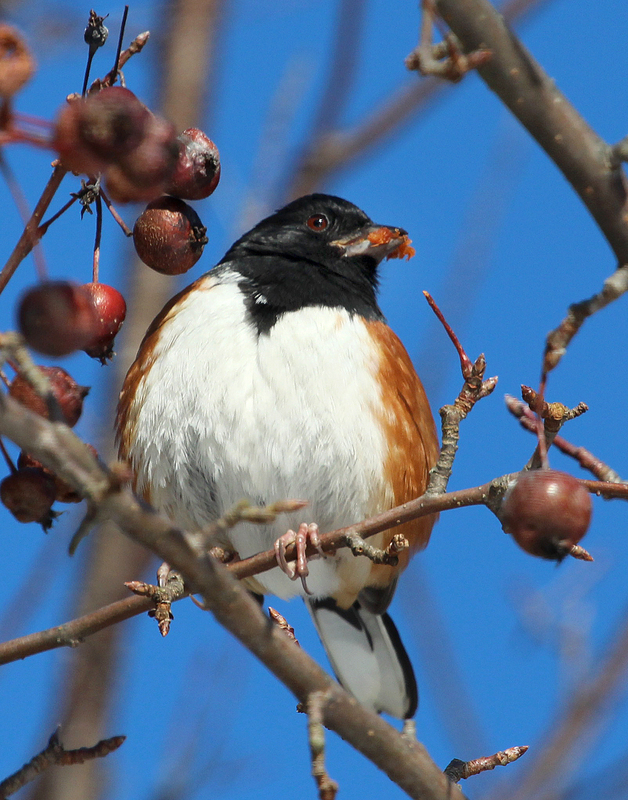 An Eastern Towhee eats a crab apple during a cold winter day at Weed Beach in Darien, CT., Jan. 2014. It was bitterly cold, but bright and sunny. Perfect day for a quick bird walk. Perfect day for a long bird walk, too, but I had limited time before my son Will’s basketball game, so it had to be a quick one. After seeing a few Fox Sparrows at Weed Beach in Darien, Conn., as soon as the walk started, the only species I could find was White-throated Sparrow. And there were lots of them. I love my White-throated Sparrows, of course, so I’m not complaining. My eyes, however, were darting around the brush for other birding goodies. This should be a great tool for birdwatchers planning a trip to Connecticut.